Transfer News – 12th August, 2015 Southampton keen on Virgil van Dijk, Liverpool and Arsenal eye Aymen Abdennour, Mathieu Valbuena seals Lyon move. Southampton keen on Virgil van Dijk, Liverpool and Arsenal eye Aymen Abdennour, Mathieu Valbuena seals Lyon move, Manchester United closing on Nicolas Otamendi and much more in today’s transfer roundup. Southampton are interested in signing Celtic center-half Virgil van Dijk, according to SkySports. The Scottish giants have no plans to sell their star player this summer. However, the Saints are preparing a £7million offer for the Dutchman. Read Full Story! Liverpool and Arsenal are set to fight for Aymen Abdennour as the defender has revealed that he wants to leave French side Monaco, as per TalkSport. Both the Premier League sides have been keeping tabs on him for the summer move. 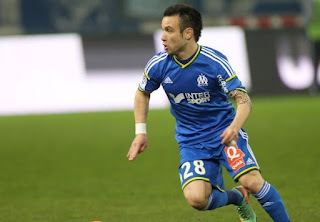 French midfielder Mathieu Valbuena has signed a three year deal at Lyon. The 30-year-old who has completed his move for an undisclosed fee after playing a season in Russia at Dynamo Moscow. Swansea City have completed the signing of goalkeeper Josh Vickers on a two year deal. The teenager who was on trials with the Swans for the past month has now sealed his permanent move to the Liberty Stadium. Manchester United are set to sign defender Nicolas Otamendi from Valencia, according Spanish reports. The 27-year-old has been on United’s radar since the start of the summer window. Manchester City are also said to be interested in his move.